Your cat is capable of cleaning himself without any human intervention. They spend hours upon hours each day working hard to keep themselves clean. However, it’s important to know how to groom a cat. See, cats use their tongue and teeth to clean themselves. They spend so much time on this essential activity because it’s essential to their well-being. They do a great job, but sometimes they need a little human help. It can be difficult for a cat to take care of their fur. Fur grows when it wants. For longhaired cats and older furballs, this can become problematic. 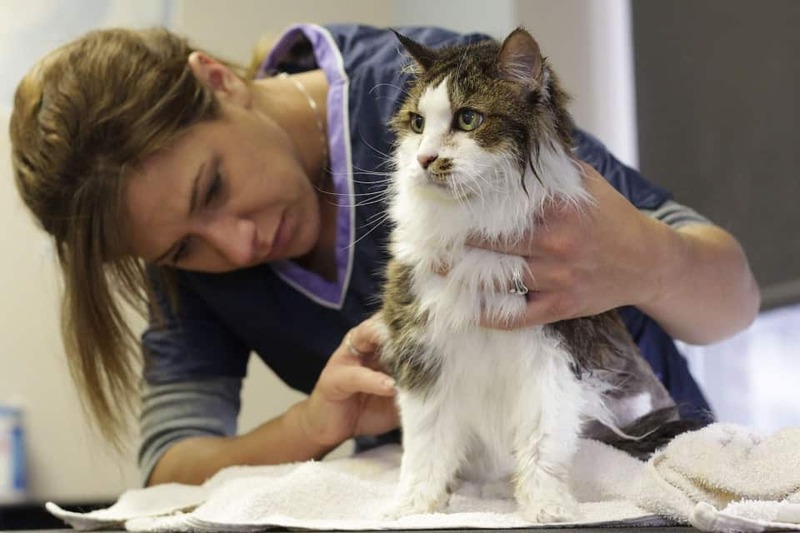 Keeping this fur in line will ensure your cat stays healthy and happy. 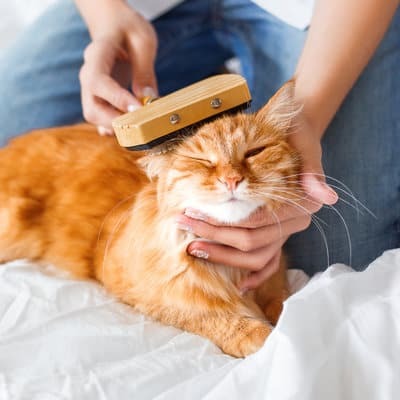 Combined with a high-quality cat food, regular brushing, and nail trimming – you have a full-service cat grooming salon. Just don’t forget to take your furry friend to the vet for a check-up now and then. Ready to keep your cat groomed well? Let’s get down and dirty with cat grooming 101. First and foremost, we need to know why cats groom themselves. Well, there are a few reasons. Cats groom mainly to clean themselves. The process also allows our cats to maintain the proper body temperature and relax a bit. 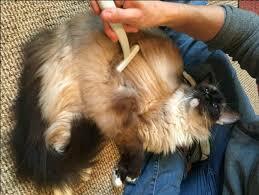 As such, many of our furry friends enjoy a good brushing on occasion. When cats groom each other, it’s a way to show affection to another furball. If you want to know the key regarding how to groom your cat, that’s easy: start at a young age. You want a kitten to get accustomed to being groomed. Once the ritual comes natural, you’ll be able to bond with her during the process. While many cats never require a kitty haircut, there are times when your cat’s mat may get out of control. Maybe your cat got into a scuffle, or the fur just isn’t growing properly. Heck, maybe it’s just growing too fast. The fact of the matter is there are times when using the clippers on your cat is important. They can be helpful when you need to clean some messy hair on your furry friend. Often, longhaired cats struggle to maintain their fur properly without a clipping here and there. Overweight cats often struggle to reach and clean every area of their body. This makes a sanitary clip a necessity. Just be careful! The vast majority of cat owners should not clip their cat’s fur at home. It can be dangerous. Instead, that you cat to the vet when they need to be trimmed up. It’s safer for both of you. There’s a reason cats have sharp claws. They use them to defend against predators and hunt prey. Without claws, you should never let your furry friend outside alone. It’s dangerous. Luckily, cat claws grow quickly. So this indoors prison sentence shouldn’t last long. The fast growth also means you’ll need to trim your cat’s nails on a regular basis. This will ensure they don’t hurt your cat from overgrowth. Wild cats used to keep their claws at the perfect length through hunting and climbing. Your domesticated feline doesn’t have that luxury. Many indoor cats benefit from a cat scratching post, as they keep the nails trim and healthy while offering hours of entertainment. The combination of a scratching post and occasional trimming should keep your cat’s claws and paws healthy. If you’re new to cat claw trimming, there’s good news – it’s easy. Cats have clear nails. Then there is a pink quick layer encased. You only trim the nail – not the pink quick layer. To ensure your cat doesn’t freak out when you trim their nails, you’ll want to start the process at a young age. Begin with your kitten and by the time their full-grown; you won’t have any grooming issues. As your train your kitten to enjoy getting their nails trimmed, make sure you offer positive reinforcement. Give them a treat during and after the process. Soon your cat will begin to enjoy the process. If things are still a problem, start to familiarize your furry friend with the process by massaging her paws a bit. Do this as she sits on your lap. Soon, she won’t worry about having a human touch her paws and play with her feet. Never trim your cat’s nails in front of another pet. Always do this activity during a relaxing time. If you’re curious about how to groom your cat, that’s a great thing. Grooming is vital to your feline’s health. It can also be enjoyable for them. Just follow the steps above to ensure the process goes smoothly. Purchase the right grooming tools, and the process will go over smoother than ever. If you have comments, concerns, or questions about how to groom a cat, sound off in the comments. For pressing concerns, make sure you contact your local vet.